I want my girls to. I always complain to my mom that, because of her not putting me in any kind of dance class, I am now the WORLD'S worst dancer. So I want to thank you, Mom, for allowing me to suffer through life with NO dance skills. I think I was truly born this horrible of a dancer. 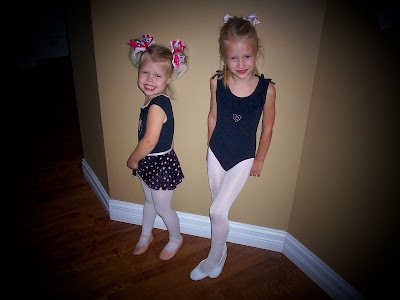 So, due to my personal experiences, my girls will take DANCE for a minimum of two years. At least they will pick up a few moves that will carry them into college. 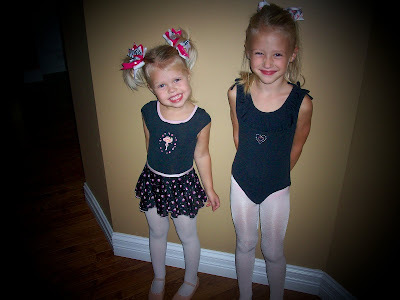 Last night was their FIRST dance class. I put them in the SAME class. How cute will this be?! Mia's first year of dance was last year so she is a seasoned pro, but for Sophie, this is her first ever dance experience! 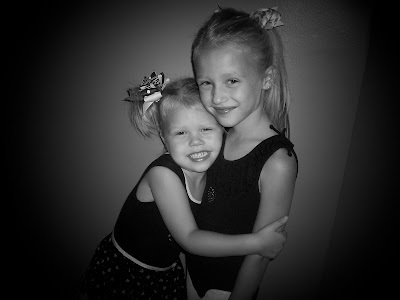 I am glad she will be with Mia and it will make watching the RECITAL a little easier as well! Instead of 3 or 4 routines to try and catch I will be able to focus on 1 or 2! Getting ready to go do some Plies! 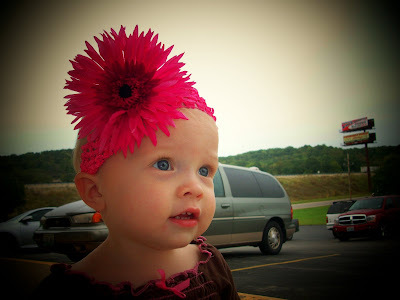 As the big girls danced, Gracie and I chilled outside the studio counting pennies and modeling the new flower headband I made for her. 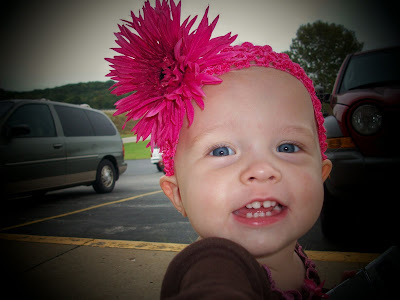 She got lots of compliments and waved to a lot of nice Moms. And I had to add these cute pics from this morning. 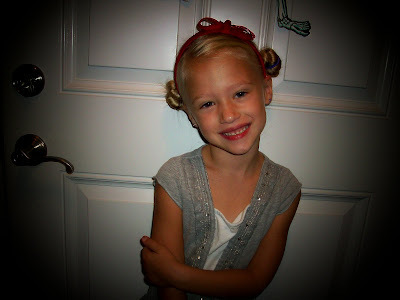 Mia wanted the "Princess Leia" look today. 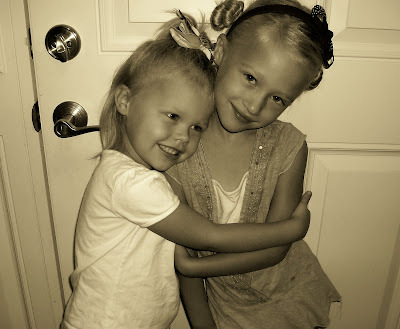 A sister hug before heading off to school. Those pics are too cute. Love that they get to go to the same class. 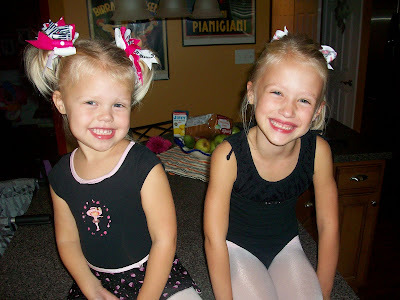 Megan and Molly got to gotogether to gymnastics for a bit, but not anymore. I am always looking for classes they can do together, because they are SO CLOSE - but now with school, they don't get to be together as much. Um....I am the world's worst dancer! 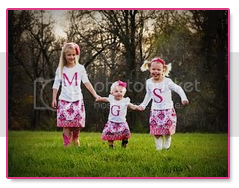 The pics are so cute! I think Sienna needs to take dance.....she would LOVE it. BTW....your Nike mini is making me feel REALLy guilty.